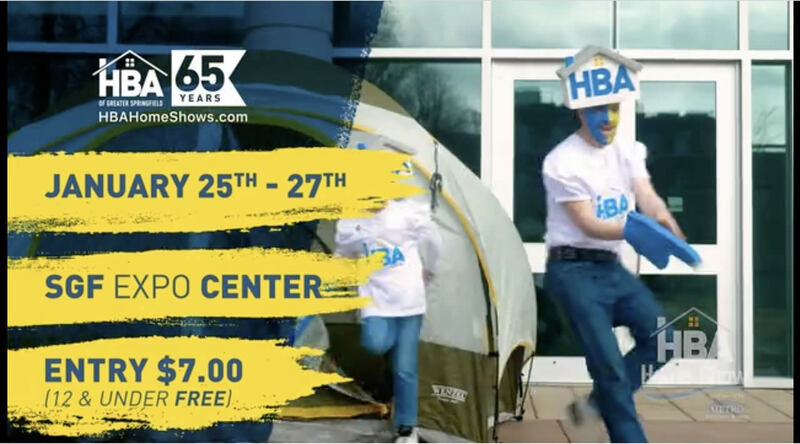 The HBA Home Show is at the Springfield Expo Center on January 25 - 27. Hours are Friday 11A - 7P, Saturday 10A - 7P, and Sunday 11A - 4P. Why Hire Essick Builders LLC? Essick Builders, LLC was established in 2005. Dusty Essick has been involved in construction for over 20 years and has had extensive hands on experience as a carpenter. Dusty is often present on the job site and is heavily involved in all stages of the building process offering quaility workmanship in every project. He also puts priority on using highly qualified sub-contractors. Information and detailed planning are the keys to making good decisions in the building process, Essick Builders provides just that. The result is an enjoyable and successful building experience for their clients. "...Dusty made the entire process as low stress and enjoyable as possible. Dusty is a pleasure to work with and as honest as they come. We will recommend him to anyone with confidence that they will be just as pleased as we have been! Dusty is a hands on builder that spends a lot of time on the job site. He's willing to listen to new ideas you have along the way and give his honest opinion when needed as well as his own design recommendations. That's exactly what we wanted in a builder and he delivered! Dusty helped make sure we stayed as close to our budget as we could on everything throughout the entire process. The flow of the project was simply amazing! ...The craftsmanship and attention to detail is amazing. Choosing the right builder is the most important thing you can do when building a custom home and we are very glad we chose Essick Builders!" "...Dusty Essick was a pleasure to work with. He is a man of integrity and character who builds a top quality home. He was always willing to work with us, making changes along the way, listened to our ideas and gave us many of his own. The robust framing to the beautiful workmanship on the interior of our home is second to none. All the added value that is built into this home, from the quality of the materials used to the concern for every detail of the finished product is amazing. But it doesn't end there, he is still willing to help us when any need arises, he stands by his work and follows through to make sure we are happy in every way. I would not hesitate to recommend Dusty Essick to anyone..he is the best!" "Dusty's outstanding leadership skills showed with the subcontractors he chose, his patience with all of us, his eye for design and his hands on approach for special details is just amazing, without a doubt we highly recommend Essick Builders, LLC to anyone who wants to experience building a great home with a job well done on all aspects. " Contact Essick Builders for all your construction needs.